Alcohol is the most widely consumed drug in the world, and while its use is widely accepted in most societies, the consequences of alcohol abuse can be devastating. A 2013 research report describes alcohol as something that has been present in the West for thousands of years, but “the production of alcohol and its social role in these societies is changing.” As an effect of colonization, a similar social change that took centuries to develop in the West has rapidly taken place in developing countries in just over just a few decades. 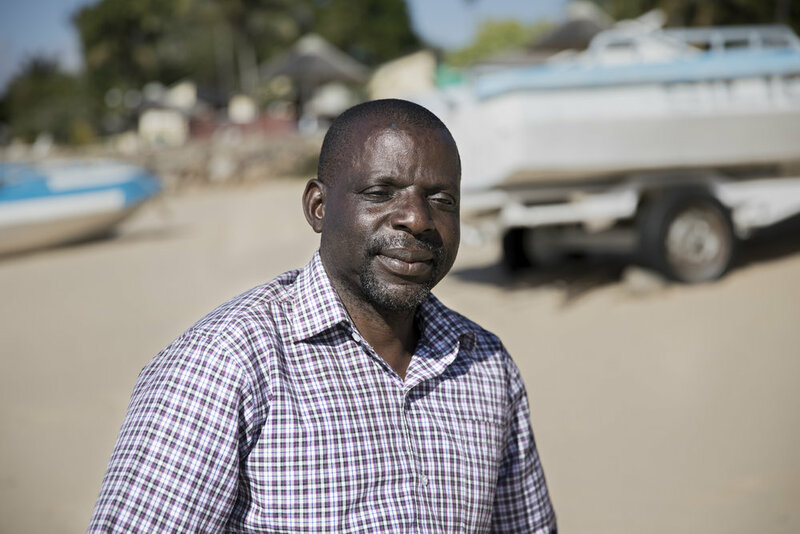 After losing his brother in 2001 due to complications brought on by substance abuse, Nelson Baziwelo Zakeyu founded Drug Fight Malawi (DFM) a year later in 2002 with the hopes of helping members of his community who struggle with substance abuse and changing local policies and education initiatives. DFM is dedicated to helping community members struggling with issues of addiction, especially in regards to alcohol, tobacco, and drug use. Currently, Zakeyu serves the organization as the Executive Director. Substance abuse and addiction has been shown to lead to many personal and societal problems such as poor work performance, road accidents, debt and chronic diseases, to name a few. "All of these problems contribute to the high poverty level in Malawi which accounts to almost 65 percent of the population living under one dollar a day. No wonder Malawi is among the third poorest country in the world although the country had not been ravaged by war," said Zakeyu. Grace and Marko have been married for six years and have two children together. But two years after their wedding, Marko started to consume alcohol, a habit that became excessive to the point that he was beating his wife and the kids development became stunted as he was spending a significant amount of the family’s money on alcohol. "Marko has completely stopped taking alcohol and changed the lives of his wife, the two children and himself," said Zakeyu. The work of DFM goes further, not only educating the population about the dangers of substance abuse but, also advocating for laws and regulations on alcohol. Because of the work of DFM and network of 180 other NGOs, the Malawi government adopted its first National Alcohol Policy in 2017. The document now guides Malawi on interventions used to deal with the issue of alcoholism. "Health scientist recommends laws and regulations in tackling problems affecting the society other than education alone which has low impact...education alone on alcohol problems do not bring much-desired impact because for example that cannot remove the people from their accessibility to alcohol beverages," explained Zakeyu. Beyond education, change needs to take place on the policy level. Photographer Maria Paula attended a school event with DFM and saw how the generosity of community members is working to help their neighbours. "I could see how teachers, students, and parents are working as a community to help empower the youth and taking steps to prevent young people developing a substance abuse issue," she said. To learn more about Drug Fight Malawi click here.